This blog post was first published on The Pen Company’s blog in April 2018. 1974 is a special year: In the USA, Star Trek: The Animated Series got cancelled; in the UK, ABBA won the Eurovision song contest in Brighton with their song, ‘Waterloo’; in China the Terracotta army was discovered; and in Germany, the VW Golf and the Lamy cp1 multifunction pen were launched. I’m happy to say that the cp1 pen/pencil is still with us today, so many years later. Designed by Gerd A. Müller, who also designed the Lamy 2000, the cp1 has seen quite a few additions to the line over the years — Lamy’s design history page shows that the twin pen was the first off the line, but there’s also a fountain pen, ballpoint pen, rollerball, mechanical pencil and tri (multifunction) pen in the cp1 series. 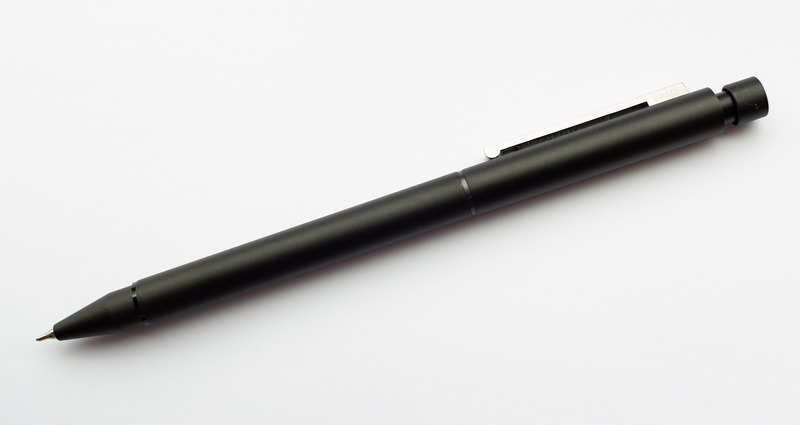 The Lamy cp1 twin multifunction pen lets you switch between a 0.5 mm mechanical pencil and a ballpoint pen. My cp1 has Lamy’s M55 orange highlighter refill instead of a normal ballpoint refill. This way I can write with the pencil in my diary but can also highlight anything that needs further attention.